Simply put, it is easy to tell whether or not the Bastille has been stormed. That is a key insight to project planning – setting a measurable goal. In my experience, difficult-to-measure goals tend to be demotivating. Contemplating a goal of “travelling the world” is so broad so I simply don’t know where to begin. On the other hand, making a plan to visit France, Spain and Portugal – as I plan to do later this summer – is a clear and measurable goal. With that increased clarity, it is much easier to get started with project planning actions such as browsing through travel books, looking up museums and examining maps. Returning to our revolutionary idealist – let’s call him Jacques for short – I imagine he would have been excited about this project. I can see him discussing his discontent with the government, high food prices and heavy taxes with his friends. He might even have heard a friend suggest that they should take some kind of action. This discussion could have continued for weeks with no results… Then, someday Jacques hears about the plan to storm the Bastille. Immediately, he can conjure an image of himself freeing prisoners. That is the power of a vivid mental image. For additional guidance on setting measurable goals, I simply have to recommend the Manager Tools podcast on MT Goals. Every project planning effort has to grapple with some risk. You may put in effort and energy and see no results. You may publish an article and get no feedback. You may spend money on a project only to encounter criticism. I’ll be honest – I’ve started two websites in the past and changed direction after a period of time. Deciding to start a project entails some risk of failure. Don’t let that worry stop you! If you’re storming the Bastille, you face incredible risks. In the eighteenth century, a slight injury could lead to a fatal infection. Even if you succeed in your daring revolutionary act, you face a host of other risks. You would incur the wrath of the police or otherwise attract the attention of the state. Our friend Jacques may have been on the run from the authorities for weeks after storming the Bastille. Fortunately, that’s not a risk most of us face in pursuing a personal project. There are a few secrets to risk management when it comes to your personal projects. By following these key strategies for personal risk management, your risk of loss will drop. Education is one of the best cures for uncertainty. That’s one of reasons why there are so many parenting classes for expecting parents – it is a way for them to reduce their uncertainty. If your personal project involves moving to a new country, start small by reading a book about that country. If you’re moving to the United Kingdom, for example, The Anglo Files: A Field Guide to the British by Sarah Lyall is a great introduction to British culture. Set A Review Date For The Project. Unlike the chaos of a revolution, you have the choice of setting check-in dates in your project planning document. One approach I favour is start small: work on your project for five days. At the end of the five days, assess what progress you have made and what, if anything, you have lost. In all likelihood, you will have lost nothing (and you may have make good progress if you set a measurable goal). In the early moments of your personal project, you are alone. It is just you and a blank Word document. You might wake up suddenly and start to jot down a few ideas on your bedside notebook. You start by coming up with a few ideas. If you’re me, you start to think about books to consult, organizations to join and more. Developing new ideas is a great deal of fun. Sooner or later, you will see that other people are important in achieving project success. Identifying stakeholders for your personal project is the next step for your project. In the case of the French Revolution, you could visit the cafes of Paris or perhaps seek out members of the Estates-General. Or you could follow in the footsteps of Abbé Emmanuel Joseph Sieyès who wrote a legendary pamphlet that continues to be studied today: What Is The Third Estate? Read on to learn how to apply this practice. Define Stakeholders For Your Project. Sieyès’s pamphlet played a vital role in launching his political career. Rather than seeing the Third Estate as the “everybody who was not clergy or aristocrats,” Sieyès defined the Third Estate as the most important political group in France. While defining your stakeholders is helpful, there’s no need to define other groups as unnecessary like Sieyès does in his pamphlet. Advanced Project Planning Tip: Ask your stakeholders to contribute ideas to your project. In addition to receiving some great ideas, people who participate in your designing your project are more likely to help in the future. Demonstrate Commitment For Your Project. It’s one thing to sit around discussing ideas with friends over coffee or a bottle of wine. That may be the genesis of your project. In order to give your project shape and definition, it’s important to write about it. Who knows you could end up writing a document that’s studied for centuries into the future like Sieyès. Creating A Memorable Calling Card. Explaining your project in person is one way to build interest. By talking with people one at a time, you can learn what they like about your idea. What if you’re simply better at writing than speaking though? Writing a pamphlet, a guide or an article lets you articulate your project vision once and then refer people to it. 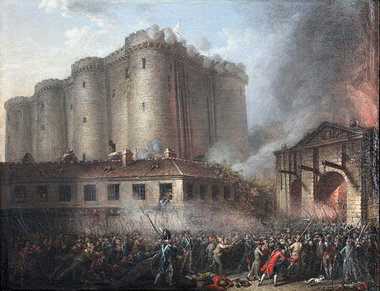 Storming the Bastille was a pivotal moment in the history of France. To paraphrase Winston Churchill, that event was only the end of the beginning. The French Revolution continued to unfold for years following July 14 1789. Yes, it’s important to celebrate your project (more on that below). That doesn’t mean that you simply celebrate the project and go on vacation for the rest of your life. The good news is that your next personal project will be informed by your success. Your fears about risk and loss will be mitigated by your success. Your next writing project will be even better based on the feedback you received. Out of all of the events in 1789 France, storming the Bastille is the most memorable story. That did not happen by accident. If you want your project to be remembered and celebrated, you will need to put in some work. Here are two ways that make Bastille Day stand out in our memory two hundred years after the event. Mark The Project’s Conclusion With An Event. We remember Bastille Day because it is celebrated every year. 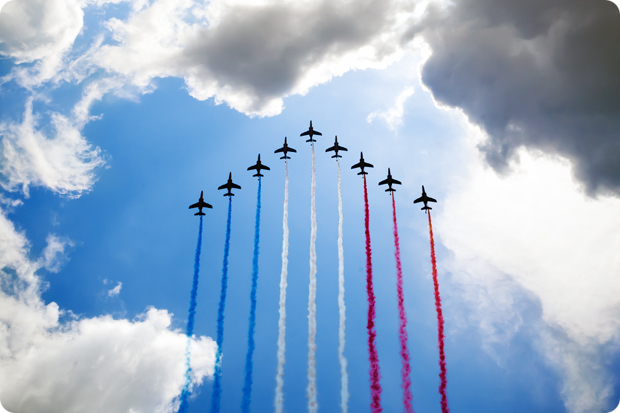 In Paris, there is a major military parade complete with Air Force participation. In your personal project, you can celebrate the event with a lunch and invite people who made a difference. Create Art To Celebrate The Project’s Success. In this article, I’ve included a few images showing how artists represented Bastille Day. You can create images to celebrate your project today even if you’re not an artist. You can take a photograph of the project team. You can also ask someone who helped you on the project to create an image. In the comments, share one of your personal projects and which of the ideas in this article you plan to implement.